All permissions are specific to this mod. These permissions do not extend to any of my other mods. 1. You MAY alter this mod for personal use. 2. You MAY NOT redistribute (upload/share) this mod. 3. You MAY use these assets in other mods. Permission must be obtained from me in advance. If using these assets in other mods, you MAY modify them. Permission must be obtained from me in advance. If using these assets in other mods, you MAY NOT monetize the mod (this includes donations). If using these assets in other mods, you must distribute those mods under my permissions. 4. You MAY release compatibility patches for this mod. Permission must be obtained from me in advance. The documentation for the patch must mention that I am the creator of this mod. You are solely responsible for any support issues arising from the use of the compatibility patch. 5. You MAY NOT release localizations for this mod. 6. You MAY use this mod in other creative works (YT videos, 3D Renders, etc) that are subject to ad revenue. The description of said work must mention that I am the creator of this mod and link to it's project page. 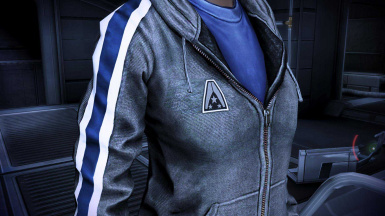 HR Hoody Grey Alliance edition is not associated with BioWare Corp. or Electronic Arts, Inc. This mod is supplied for free; I make no money from this project. This mod comes without any warranty, to the extent permitted by applicable law. This means you use it at your own risk; I am not responsible for any damage to your game or PC by use of this mod. All permissions associated with this mod must be continued to be observed regardless of my presence or absence. If any permissions in this document are dependent upon contacting me, then those permissions are revoked in my absence. BioWare Continuity Network may keep a copy of this mod within their archives for historical purposes, provided all authorship and credit information is retained and the contents of the mod are not altered in any way. 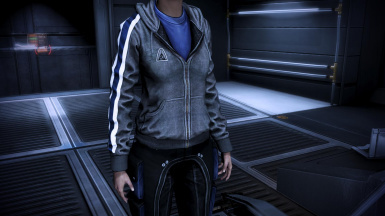 All retextures were created using and based on the original textures found in the gamefiles for Mass Effect 3. This mod is available as a Texmod and ME3Explorer .TPF file. 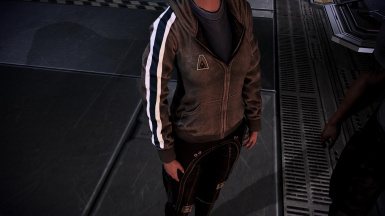 Texmod allows for temporary modding of textures, ME3Explorer allows for permanent changes to the gamefiles for both textures/meshes and more complex content mods. If you're new to using Texmod, check out my guide. 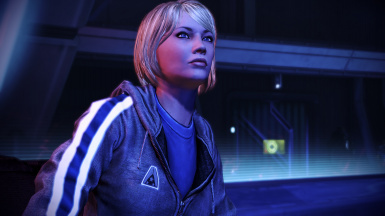 If you are new to using ME3Explorer, check out the official wiki. If you are applying mods to DLC, be sure to download the DLC fix. Just place the two dll's in your game's Win32 folder. overwrite if prompted. 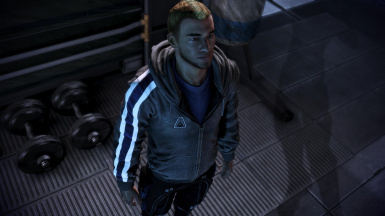 It is advised you try mods using Texmod before you permanently apply mods using ME3Explorer. 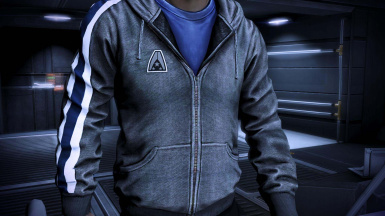 Not compatible with any other mod that changes the hoody textures, or any DLC mods that alter ANY of the casual outfits in any way. DLC mods include copies of edited PCCs. As all outfits are in the same PCC and DLC MODs will always have a higher load priority than the vanilla game, the texture version in those DLC MODs will always load. If you are using DLC mods that might interfere, make sure you add them to your texture tree and re-apply this mod overtop. If you run into any DLC MODs that completely prevent these textures from showing up, let me know and I'll keep a list of them in the OP. Why my mods are no longer included in A.L.O.T. This mod was originally housed on the BSN. I run a modding blog.